There’s no Superbowl Sunday without delicious snacks and finger food. The usual nachos, buffalo wings, and pizza are staples at any party. But why not spin things around a bit and try something healthier this year without sacrificing taste and flavour. Upon researching healthier alternatives for Game Day snacks, I found this awesome cauliflower popcorn recipe that is pretty life-changing. What’s great is cauliflower is so pliable and versatile, using it as a substitute for rice, pizza crust, mashed potatoes. Dress it up with something sweet, spicy, or citrusy. Really, the possibilities are endless! 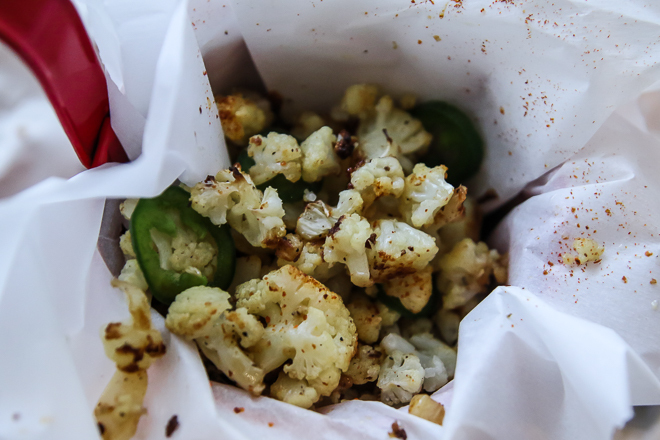 Check out my recipe for this Jalapeno Chili Cauliflower Popcorn here. For cooking instructions, visit my website at rosycheeksproject.com.